Brenda Deckman, Program Services Director at Arden Courts Memory Care Community of Wilmington, has 19 years of experience engaging residents in meaningful activities in long-term care facilities. A Certified Dementia Practitioner (CDP), Brenda is a caring and creative part of the lives of Arden Courts’ 56 dementia residents who are offered 10 hours of activity programming every day. Brenda ensures each resident’s individual preferences are honored. She is a Certified Activity Director with an emphasis on memory care (ADC/MC) and has spoken before hundreds of participants at the New Jersey Activity Professionals Association conferences over the past few years. She is also certified in Validation Therapy, a method in which caregivers respond to residents’ feelings, meeting them where they are in the present moment, rather than attempting to keep them in the reality dementia residents cannot grasp. 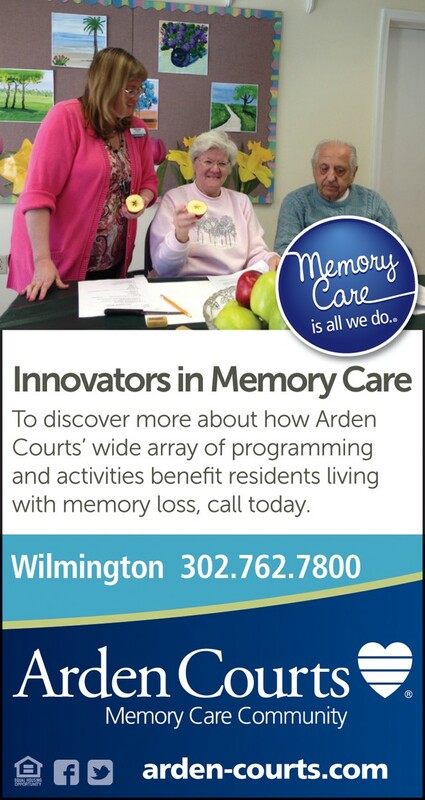 At Arden Courts, Brenda schedules tailored programs which appeal to individuals living in all stages of dementia. Some events include musical programs, pet therapy, art projects and observations for every holiday and season to help keep residents oriented as well as engaged. She can create the scene and mood of seasonal celebrations using props, music and refreshments, as well as costumes. One never knows who she may be next – the Easter Bunny, Santa’s Elf, Clara Barton – or during one theme week on camping trips – Smokey the Bear. She has an extensive personal collection of costumes which can prompt the memories and create joyful moments for even the most confused residents. Brenda is also a certified provider of HCR ManorCare’s Engagement Therapy Treatment®, which involves discussion groups for early stage dementia residents whose long term memories enable them to contribute to a discussion when themed topics are presented. Brenda researches topics and incorporates historical figures and events, as well as places the group’s residents have visited. The well-planned and person-centered activities coupled with Brenda’s unique ability to bond with dementia residents of all levels keep Arden Courts’ residents feeling engaged and successful in a warm, supportive environment while her contagious enthusiasm for her work and the residents contributes greatly to their quality of life. ← Previous Story Do You Have An Advance Directive? Next Story → What Is Aging In Place?